Situated in Maydena, this cottage is 0.1 mi (0.2 km) from Junee Caves and within 9 mi (15 km) of Mount Field National Park and Marriot Falls Track Trailhead. Mount Field National Park and Styx Big Tree Reserve are also within 9 mi (15 km). 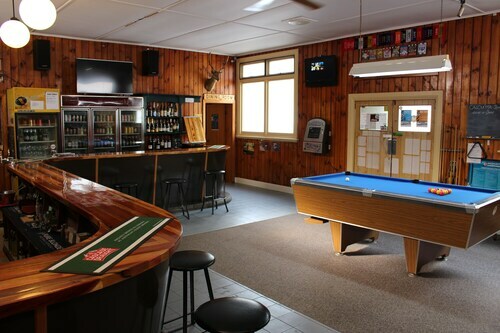 Situated in a rural location, this inn is within 1 mi (2 km) of Mount Field National Park and Mount Field National Park. Russell Falls and Horseshoe Falls are also within 2 mi (3 km). 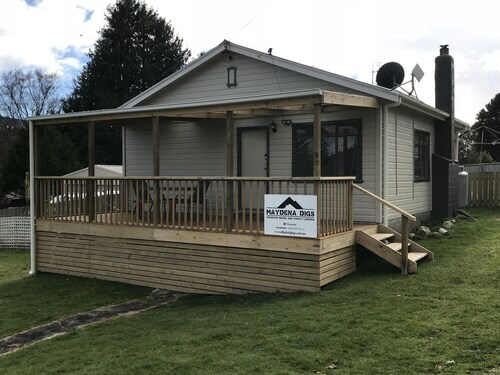 Situated in Derwent Valley, this cottage is 2.7 mi (4.4 km) from Mount Field National Park and within 6 mi (10 km) of Mount Field National Park and Russell Falls. Junee Caves and Tall Trees Walk are also within 6 mi (10 km). Situated in Maydena, this cottage is 0.5 mi (0.8 km) from Junee Caves and within 6 mi (10 km) of Marriot Falls Track Trailhead and Mount Field National Park. Mount Field National Park and Styx Big Tree Reserve are also within 9 mi (15 km). If you're having a hard time locating any places to stay right in the heart of Mt. Field National Park, don't freak out. Look outside the city center and spend your holiday within 10 kilometres at one of the 2 terrific options recommended by Wotif. The Maydena Country Cabins Accommodation & Alpaca Stud and Giants Table and Cottages are your best options if you want to stay near the main streets. If you're still looking for a hotel in Mt. Field National Park, don't panic just yet. Check out the Hamlet Downs Country Accommodation, 15 kilometres from the city's core. Another option is the Curringa Farm, 25 kilometres away. Looking to explore a little further afield? You've picked the right place! Midlands features many other awesome places to check out. Visit the traditional villages and historic bridges in Midlands, or simply admire its rural landscapes and lakes. Common things to do in this particular part of Australia include mountain climbing. The nearby localities of Tarraleah and Bothwell are worth going to. Tarraleah is 50 kilometres to the north of Mt. Field National Park, while Bothwell is 50 kilometres to the northeast. Tarraleah hotels and apartments are The Lodge at Tarraleah and Tarraleah Estate. The White's Corner and Ratho Farm are some of the better ones in Bothwell. Get your sporting fix by making a visit to Tasmanian Hockey Centre, which is to the east of Mt. Field National Park. The Islington Hotel and The Henry Jones Art Hotel are near all the action. Hobart International Airport is the most convenient airport for transiting in or out of Mt. Field National Park and is 75 kilometres drive from the heart of town. 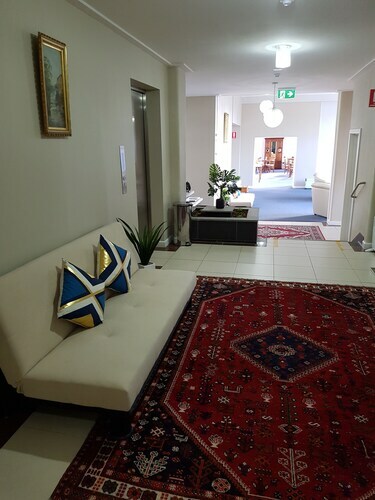 If you would like to stay nearby, try the Travelodge Hotel Hobart Airport or the Hobart Airport Tourist Park. How Much is a Hotel Room in Mount Field National Park? 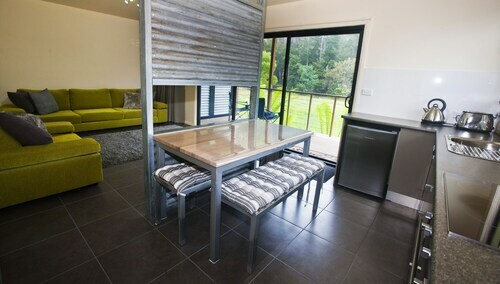 Hotels in Mount Field National Park start at AU$82 per night. Prices and availability subject to change. Additional terms may apply.